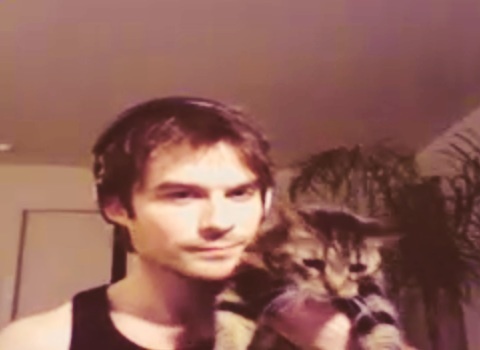 Ian with Lynx(Nina's Cat). . Wallpaper and background images in the Ian Somerhalder and Nina Dobrev club. This Ian Somerhalder and Nina Dobrev photo might contain cat, true cat, kitten, kitty, portrait, headshot, and closeup.